Maya codices (singular codex) are folding books written by the pre-Columbian Maya civilization in Maya hieroglyphic script on Mesoamerican bark paper. The folding books are the products of professional scribes working under the patronage of deities such as the Tonsured Maize God and the Howler Monkey Gods. 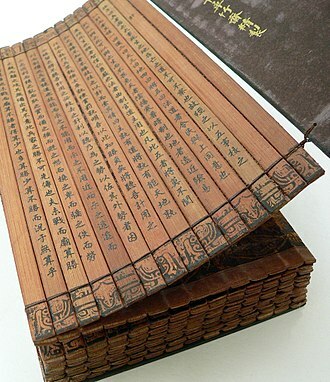 Most of the codices were destroyed by conquistadors and Catholic priests in the 16th century. 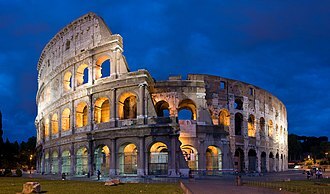 The codices have been named for the cities where they eventually settled. The Dresden codex is generally considered the most important of the few that survive. The paper was made from the inner bark of certain trees, the main being the wild fig tree or amate (Ficus glabrata). This sort of paper was generally known by the word āmatl [ˈaːmat͡ɬ] in Nahuatl, and by the word huun in Mayan. 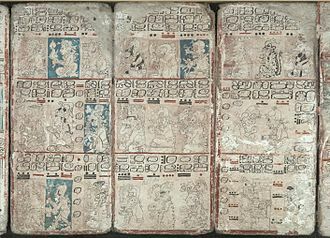 The Maya developed their huun-paper around the 5th century, which is roughly the same time that the codex became predominant over the scroll in the Roman world. Maya paper was more durable and a better writing surface than papyrus. 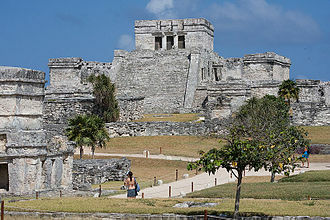 Our knowledge of ancient Maya thought must represent only a tiny fraction of the whole picture, for of the thousands of books in which the full extent of their learning and ritual was recorded, only four have survived to modern times (as though all that posterity knew of ourselves were to be based upon three prayer books and Pilgrim's Progress). Such codices were the primary written records of Maya civilization, together with the many inscriptions on stone monuments and stelae that survived. Their range of subject matter in all likelihood embraced more topics than those recorded in stone and buildings, and was more like what is found on painted ceramics (the so-called 'ceramic codex'). 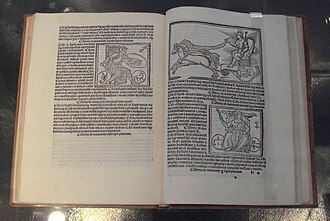 Alonso de Zorita wrote that in 1540 he saw numerous such books in the Guatemalan highlands that "recorded their history for more than eight hundred years back, and that were interpreted for me by very ancient Indians" (Zorita 1963, 271-2). 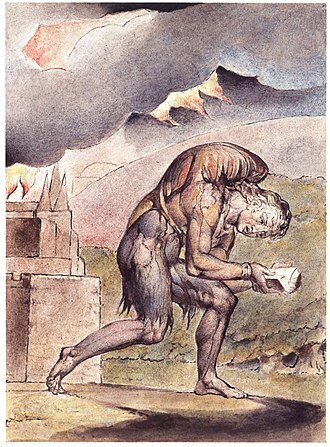 Dominican friar Bartolomé de las Casas lamented that when found, such books were destroyed: "These books were seen by our clergy, and even I saw part of those that were burned by the monks, apparently because they thought [they] might harm the Indians in matters concerning religion, since at that time they were at the beginning of their conversion." 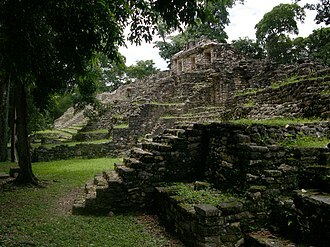 The last codices destroyed were those of Nojpetén, Guatemala in 1697, the last city conquered in the Americas. With their destruction, access to the history of the Maya and opportunity for insight into some key areas of Maya life was greatly diminished. The Paris Codex, also known as the Peresianus Codex (22 pages, 1.45 metres [4.8 feet]). A fourth codex that remained controversial until 2015 has been authenticated. Recent research, which includes a study that used everything from X-rays to UV imaging and microscopic analysis, points to its authenticity. The Grolier Codex, also known as the Sáenz Codex. The Dresden Codex (Codex Dresdensis) is held in the Sächsische Landesbibliothek (SLUB), the state library in Dresden, Germany. It is the most elaborate of the codices, and also a highly important specimen of Maya art. Many sections are ritualistic (including so-called 'almanacs'), others are of an astrological nature (eclipses, the Venus cycles). The codex is written on a long sheet of paper that is 'screen-folded' to make a book of 39 leaves, written on both sides. It was probably written between the twelfth and fourteenth centuries. Somehow it made its way to Europe and was bought by the royal library of the court of Saxony in Dresden in 1739. The only exact replica, including the huun, made by a German artist is displayed at the Museo Nacional de Arqueología in Guatemala City, since October, 2007. Between 1880 and 1900, Dresden librarian Ernst Förstemann succeeded in deciphering the Maya numerals and the Maya calendar and realized that the codex is an ephemeris. Subsequent studies have decoded these astronomical almanacs, which include records of the cycles of the Sun and Moon, including eclipse tables, and all of the naked-eye planets. The "Serpent Series", pp. 61–69, is an ephemeris of these phenomena that uses a base date of 1.18.1.8.0.16 in the prior era (5,482,096 days). The Codex was discovered in Spain in the 1860s; it was divided into two parts of differing sizes that were found in different locations. The Codex receives its alternate name of the Tro-Cortesianus Codex after the two parts that were separately discovered. Ownership of the Troano Codex passed to the Museo Arqueológico Nacional ("National Archaeological Museum") in 1888. 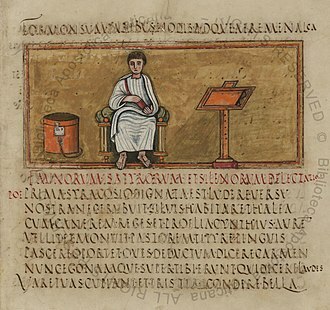 The Museo Arqueológico Nacional acquired the Cortesianus Codex from a book-collector in 1872, who claimed to have recently purchased the codex in Extremadura. 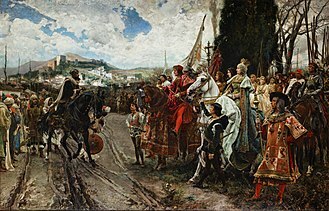 Extremadura is the province from which Francisco de Montejo and many of his conquistadors came, as did Hernán Cortés, the conqueror of Mexico. 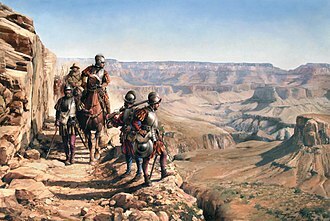 It is therefore possible that one of these conquistadors brought the codex back to Spain; the director of the Museo Arqueológico Nacional named the Cortesianus Codex after Hernán Cortés, supposing that he himself had brought the codex back. The Madrid Codex is the longest of the surviving Maya codices. The content of the Madrid Codex mainly consists of almanacs and horoscopes that were used to help Maya priests in the performance of their ceremonies and divinatory rituals. The codex also contains astronomical tables, although less than are found in the other two generally accepted surviving Maya codices. A close analysis of glyphic elements suggests that a number of scribes were involved in its production, perhaps as many as eight or nine, who produced consecutive sections of the manuscript; the scribes were likely to have been members of the priesthood. Some scholars, such as Michael Coe and Justin Kerr, have suggested that the Madrid Codex dates to after the Spanish conquest but the evidence overwhelmingly favours a pre-conquest date for the document. 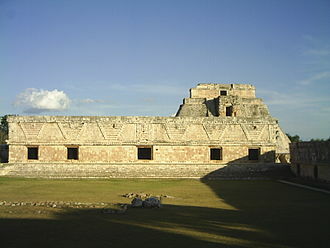 It is likely that the codex was produced in Yucatán. J. Eric Thompson was of the opinion that the Madrid Codex came from western Yucatán and dated to between 1250 and 1450 AD. 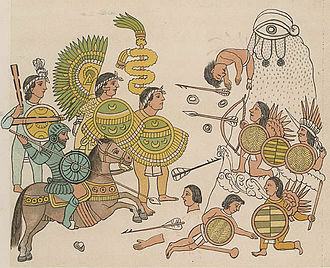 Other scholars have expressed a differing opinion, noting that the codex is similar in style to murals found at Chichen Itza, Mayapan and sites on the east coast such as Santa Rita, Tancah and Tulum. Two paper fragments incorporated into the front and last pages of the codex contain Spanish writing, which led Thompson to suggest that a Spanish priest acquired the document at Tayasal in Petén. The Paris Codex (also or formerly the Codex Peresianus) contains prophecies for tuns and katuns (see Maya Calendar), as well as a Maya zodiac, and is thus, in both respects, akin to the Books of Chilam Balam. The codex first appeared in 1832 as an acquisition of France's Bibliothèque Impériale (later the Bibliothèque Nationale, or National Library) in Paris. Three years later the first reproduction drawing of it was prepared for Lord Kingsborough, by his Lombardian artist Agostino Aglio. The original drawing is now lost, but a copy survives among some of Kingsborough's unpublished proof sheets, held in collection at the Newberry Library, Chicago. Although occasionally referred to over the next quarter-century, its permanent rediscovery is attributed to the French orientalist Léon de Rosny, who in 1859 recovered the codex from a basket of old papers sequestered in a chimney corner at the Bibliothèque Nationale where it had lain discarded and apparently forgotten. As a result, it is in very poor condition. It was found wrapped in a paper with the word Pérez written on it, possibly a reference to the Jose Pérez who had published two brief descriptions of the then-anonymous codex in 1859. De Rosny initially gave it the name Codex Peresianus ("Codex Pérez") after its identifying wrapper, but in due course the codex would be more generally known as the Paris Codex. De Rosny published a facsimile edition of the codex in 1864. It remains in the possession of the Bibliothèque Nationale. While the three codices above were known to scholars since the 19th century, the Grolier Codex only surfaced in the 1970s. The codex, said to have been found in a cave, is really a fragment of 11 pages. As of 2016 it is in Mexico City’s Museo Nacional de Antropología, not on display. 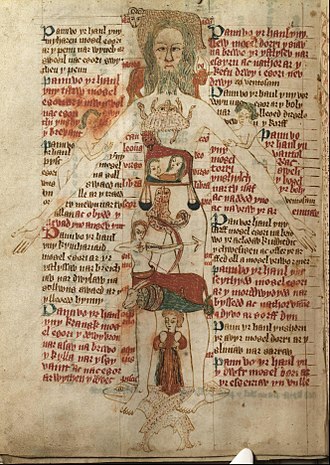 Each page shows a hero or god, facing to the left. At the top of each page is a number, and down the left of each page is what appears to be a list of dates. The pages are much less detailed than in the other codices, and hardly provide any information that is not already in the Dresden Codex. After a study was conducted which includes everything from X-rays to UV imaging and microscopic analysis, in 2016 the authenticity of the Grolier Codex was announced. Given the rarity and importance of these books, rumors of finding new ones often develop interest. Archaeological excavations of Maya sites have turned up a number of rectangular lumps of plaster and paint flakes, most commonly in elite tombs. These lumps are the remains of codices where all the organic material has rotted away. A few of the more coherent of these lumps have been preserved, with the slim hope that some technique to be developed by future generations of archaeologists may be able to recover some information from these remains of ancient pages. The oldest Maya codices known have been found by archaeologists as mortuary offerings with burials in excavations in Uaxactun, Guaytán in San Agustín Acasaguastlán, and Nebaj in El Quiché, Guatemala, at Altun Ha in Belize and at Copán in Honduras. The six examples of Maya books discovered in excavations date to the Early Classic (Uaxactún and Altun Ha), Late Classic (Nebaj, Copán), and Early Postclassic (Guaytán) periods. Unfortunately, all of them have degraded into unopenable masses or collections of very small flakes and bits of the original texts. Thus it may never be possible to read them. Since the start of the 20th century, forgeries of varying quality have been produced. Two elaborate early 20th-century forged codices were in the collection of William Randolph Hearst. Although fake codices have seldom fooled serious scholars, the Grolier Codex may be an exception. Its paper seems to be ancient, and the influential Mayanist Michael D. Coe believed the artifact to be genuine, followed in this by Stephen Houston and Karl Taube (all three scholars stemming from Yale); but other eminent Mayanists such as J.E.S. 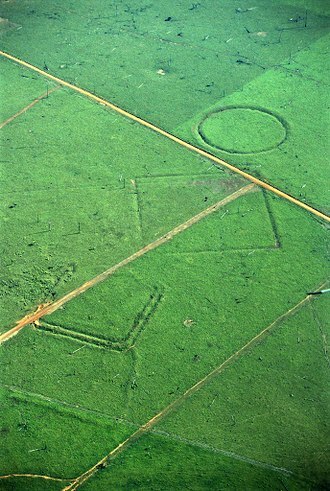 Thompson, Claude Baudez, and Susan Milbrath concluded that its pictures and glyphs are falsifications. They pointed out a long series of inconsistencies and errors in the alleged codex, and drew attention to its art historical improbability and its uselessness for astrological and divinatory purposes. Although their arguments were never effectively countered, no scholarly unanimity has been reached. In September 2016 Coe and other researchers published findings supporting its authenticity; but in an extensive rejoinder (August 2017), Bruce Love  concluded that the artefact's authenticity had not been established. ^ Burns, Marna (2004). The Complete Book of Handcrafted Paper. Dover Publications. p. 199. ISBN 9780486435442. ^ Wiedemann, Hans G.; Brzezinka, Klaus-Werner; Witke, Klaus & Lamprecht, Ingolf (May 2007). "Thermal and Raman-spectroscopic analysis of Maya Blue carrying artefacts, especially fragment IV of the Codex Huamantla". 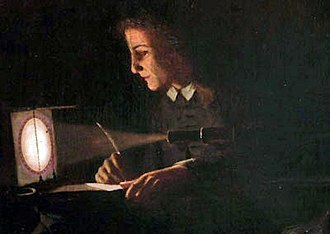 Thermochimica Acta. 456 (1): 56–63. doi:10.1016/j.tca.2007.02.002. ^ Foster, Lynn V. (2002). Handbook to Life in the Ancient Maya World. New York: Facts On File. p. 297. ISBN 0816041482. ^ Maya writing Archived 2007-06-13 at the Wayback Machine. ^ "O Códice de Dresden". World Digital Library. 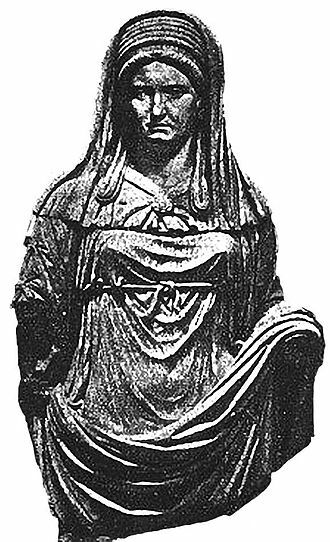 1200–1250. Retrieved 2013-08-21. ^ "13th century Maya codex, long shrouded in controversy, proves genuine". News from Brown. Brown University. Retrieved 2016-09-07. ^ a b c Blakemore, Erin (15 September 2016). "New Analysis Shows Disputed Maya "Grolier Codex" Is the Real Deal". Smithsonian. Retrieved 2018-11-09. ^ Ruggles, Clive L. N. (2005). Ancient Astronomy: An Encyclopedia of Cosmologies and Myth. ABC-CLIO. p. 134. ISBN 978-1-85109-477-6. ^ John Eric Sidney Thompson, A commentary on the Dresden Codex: A Maya Hieroglyphic Book, Memoirs of the American Philosophical Society, 1972. ^ Beyer, Hermann 1933 Emendations of the 'Serpent Numbers' of the Dresden Maya Codex. Anthropos (St. Gabriel Mödling bei Wien) 28: pp.1–7. 1943 The Long Count Position of the Serpent Number Dates. Proc. 27th Int. Cong. Of Amer., Mexico, 1939 (Mexico) I: pp. 401–405. ^ a b c d e Sharer and Traxler 2006, p. 127. ^ a b Noguez et al. 2009, p. 20. ^ Noguez et al. 2009, pp. 20–21. ^ a b Noguez et al. 2009, p.21. ^ Ciudad et al. 1999, pp. 877, 879. ^ Miller 1999, p. 187. ^ Sharer and Traxler 2006, p. 129. ^ Coe 1999, p. 200. 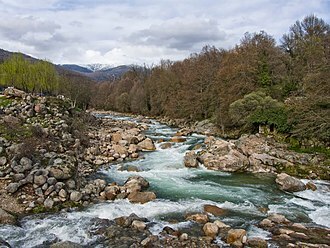 Ciudad et al. 1999, p. 880. ^ See "The Paris Codex", in Marhenke (2003),[page needed]. ^ Annalee Newitz (12 September 2016). "Confirmed: Mysterious ancient Maya book, Grolier Codex, is genuine: 900 year-old astronomy guide is oldest known book written in the Americas." Ars Technica. Accessed 12 September 2016. Baudez, Claude (2002). "Venus y el Códice Grolier". Arqueología Mexicana. 10 (55): 70–79, 98–102. Ciudad Ruiz, Andrés; Alfonso Lacadena (1999). J.P. Laporte and H.L. Escobedo, ed. "El Códice Tro-Cortesiano de Madrid en el contexto de la tradición escrita Maya" [The Tro-Cortesianus Codex of Madrid in the context of the Maya writing tradition] (PDF). Simposio de Investigaciones Arqueológicas en Guatemala, 1998 (in Spanish). Guatemala City, Guatemala: Museo Nacional de Arqueología y Etnología: 876–888. Archived from the original (PDF) on 2011-09-14. Retrieved 2012-07-23. Coe, Michael D. (1999). The Maya. Ancient peoples and places series (6th, fully revised and expanded ed.). London and New York: Thames & Hudson. ISBN 0-500-28066-5. OCLC 59432778. FAMSI. "Maya Hieroglyphic Writing – The Ancient Maya Codices: The Madrid Codex". FAMSI (Foundation for the Advancement of Mesoamerican Studies). Retrieved 2012-07-24. Kelker, Nancy L.; Karen O. Bruhns (2010). Faking Ancient Mesoamerica. Walnut Creek, California: Left Coast Press. ISBN 978-1-59874-150-6. Love, Bruce (August 2017). "Authenticity of the Grolier Codex remains in doubt". Mexicon. 39 (4): 88–95. Marhenke, Randa (2003). "The Ancient Maya Codices". Maya Hieroglyphic Writing. Mesoweb. OCLC 53231537. Retrieved 2008-08-16. Milbrath, Susan (2002). "New Questions Concerning the Authenticity of the Grolier Codex". Latin American Indian Literatures Journal. 18 (1): 50–83. Miller, Mary Ellen (1999). Maya Art and Architecture. London and New York: Thames & Hudson. ISBN 0-500-20327-X. OCLC 41659173. Noguez, Xavier; Manuel Hermann Lejarazu; Merideth Paxton; Henrique Vela (August 2009). 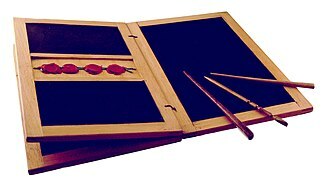 "Códices Mayas" [Maya codices]. Arqueología Mexicana: Códices prehispánicos y coloniales tempranos – Catálogo (in Spanish). Editorial Raíces. 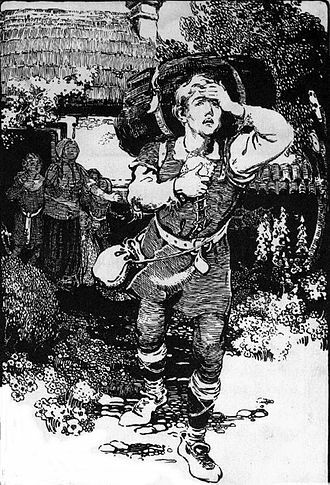 Special Edition (31): 10–23. Sharer, Robert J.; Loa P. Traxler (2006). The Ancient Maya (6th (fully revised) ed.). Stanford, CA: Stanford University Press. ISBN 0-8047-4816-0. OCLC 28067148. Stuart, George E. (1992). "Quest for Decipherment:A Historical and Biographical Survey of Maya Hieroglyphic Decipherment". In Elin C. Danien; Robert J. Sharer. 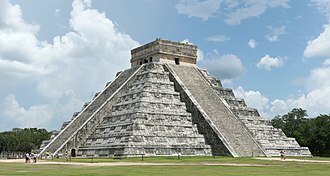 New Theories on the Ancient Maya. University Museum Monograph series, no. 77. Philadelphia: University Museum, University of Pennsylvania. pp. 1–64. ISBN 0-924171-13-8. OCLC 25510312. Thompson, J.E.S. (1975). "The Codex Grolier". Contributions of the University of California. 27 (1): 1–9. Thompson, J.E.S. (1976). "The Grolier Codex". The Book Collector. 25 (1): 64–75. Whiting, Thomas A. L. (1998). "The Maya Codices". In Peter Schmidt; Mercedes de la Garza; Enrique Nalda. Maya. New York City: Rizzoli. ISBN 0847821293. Wikimedia Commons has media related to Maya codices. The Saxon State and University Library Dresden, abbreviated SLUB Dresden, is located in Dresden, Germany. It is both the library for the German State of Saxony as well as the academic library for the Dresden University of Technology. It was created in 1996 through the merger of the Saxon State Library, the seemingly redundant name is to show that the library brings both these institutional traditions together. The SLUB moved into a new building in 2002 to bring together the inventories of both its predecessors. Its collection numbers nearly nine million, making it one of the largest public archival centers in the Federal Republic of Germany and it holds significant treasures, including the Codex Dresdensis, an octagonal Koran from 1184 and a copy of the Peter Schoeffer Bible printed in 1462. Within the SLUB is the Deutsche Fotothek, holding some 4 million photographs from the past 80 years, and it is a special-interest collection library of the Deutsche Forschungsgemeinschaft focusing on “Contemporary Art after 1945” and “History of Technology”. Both collections include such as commercial photography, documentary photography, photographic art. The first preserved index of the state library’s collections dates back to the year 1574, further services on the internet include, for example, the Kartenforum with historical maps of Saxony and the Fotothek, providing pictorial documents for research. The Deutsche Fotothek is based on the Dresden traditions of photographic techniques, the Landesbildstelle was originally established in Chemnitz, but was shortly afterwards, in 1925, relocated to Dresden. Since 1956 the inventory has been labeled Fotothek, since 1983 it has belonged to the Sächsische Landesbibliothek as a separate section. With 2.3 million photographic documents, the Fotothek has a large share of the overall holdings. The oldest images from around 1850 can be traced back to the photographer Hermann Krone, there are only three other existing codices left. They are located in Paris and Mexico, the Codex runs for inclusion in the UNESCO Memory of the World Programme. The word papyrus /pəˈpaɪrəs/ refers to a thick precursor to modern paper made from the pith of the papyrus plant, Cyperus papyrus. Papyrus can refer to a document written on sheets of papyrus joined together side by side and rolled up into a scroll, the plural for such documents is papyri. Papyrus is first known to have used in ancient Egypt. It was used throughout the Mediterranean region and in Kingdom of Kush, the Ancient Egyptians used papyrus as a writing material, as well as employing it commonly in the construction of other artifacts such as reed boats, rope and baskets. Papyrus was first manufactured in Egypt as far back as the fourth millennium BCE, the earliest archaeological evidence of papyrus was excavated in 2012 and 2013 at Wadi al-Jarf, an ancient Egyptian harbor located on the Red Sea coast. 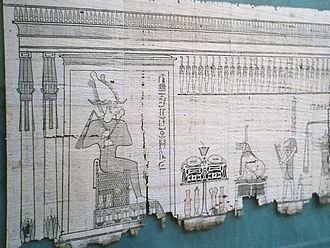 The papyrus rolls describe the last years of building the Great Pyramid of Giza, in the first centuries BCE and CE, papyrus scrolls gained a rival as a writing surface in the form of parchment, which was prepared from animal skins. Sheets of parchment were folded to form quires from which book-form codices were fashioned, early Christian writers soon adopted the codex form, and in the Græco-Roman world, it became common to cut sheets from papyrus rolls to form codices. Codices were an improvement on the scroll, as the papyrus was not pliable enough to fold without cracking. Papyrus had the advantage of being cheap and easy to produce. 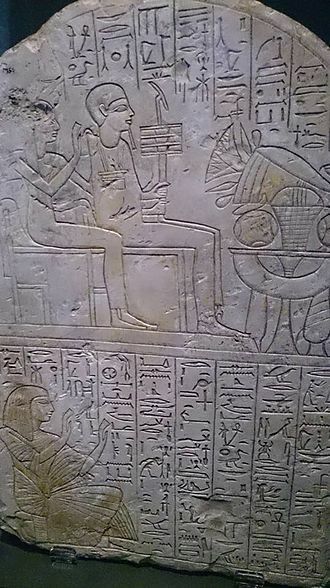 Unless the papyrus was of quality, the writing surface was irregular. Its last appearance in the Merovingian chancery is with a document of 692, the latest certain dates for the use of papyrus are 1057 for a papal decree, under Pope Victor II, and 1087 for an Arabic document. 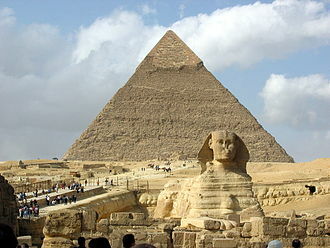 Its use in Egypt continued until it was replaced by more inexpensive paper introduced by Arabs who originally learned of it from the Chinese, by the 12th century and paper were in use in the Byzantine Empire, but papyrus was still an option. Papyrus was made in several qualities and prices, pliny the Elder and Isidore of Seville described six variations of papyrus which were sold in the Roman market of the day. 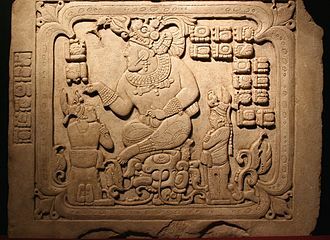 Ancient Maya art refers to the material arts of the Maya civilization, an eastern and south-eastern Mesoamerican culture that took shape in the course of the Preclassic Period. 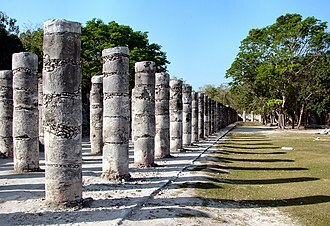 Its greatest artistic flowering occurred during the seven centuries of the Classic Period, Ancient Maya art went through an extended Post-Classic phase before the upheavals of the sixteenth century destroyed courtly culture and put an end to the Mayan artistic tradition. Many regional styles existed, not always coinciding with the boundaries of Maya polities. Olmecs and Toltecs have all influenced Maya art, traditional art forms have mainly survived in weaving and the design of peasant houses. Starting in the early 1970s, the historiography of the Mayan kingdoms - first of all Palenque - came to occupy the forefront, Scheles seminal interpretations of Maya art are found throughout her work, especially in The Blood of Kings, written together with art historian M. Miller. Maya art history was spurred by the enormous increase in sculptural and ceramic imagery, due to extensive archaeological excavations. On from 1973, M. D. Coe published a series of books offering pictures and interpretations of unknown Maya vases, with the Popol Vuh Twin myth for an explanatory model. In 1981, Robicsek and Hales added an inventory and classification of Maya vases painted in codex style, as to subsequent developments, important issues in Scheles iconographic work have been elaborated by Karl Taube. New approaches to Maya art include studies of ancient Maya ceramic workshops, the representation of experience and the senses in Maya art. Meanwhile, the number of devoted to the monumental art of specific courts is growing. A good impression of recent Mexican and North American art historical scholarship can be gathered from the exhibition catalogue Courtly Art of the Ancient Maya, under successive reigns, the main buildings were enlarged by adding new layers of fill and stucco coating. Irrigation channels and drains made up the hydraulic infrastructure, outside the ceremonial center were the structures of lesser nobles, smaller temples, and individual shrines, surrounded by the wards of the commoners. The Grolier Codex is a Maya book of a pre-Columbian type but of disputed authenticity. It first appeared in a collection in the 20th century and was displayed at the Grolier Club in New York. The codex consists of a fragment of a Maya book, containing almanacs of Venus represented in a simplistic fashion, the Grolier Codex would be only the fourth surviving pre-Columbian Maya book if genuine. The codex is said to have recovered from a cave in the Mexican state of Chiapas in the 1960s, together with a mosaic mask. It was displayed at the Grolier Club from April 20 to June 5,1971, in 1973, Michael D. Coe published the first half-size recto-side facsimile of the codex in The Maya Scribe and His World, produced by the Grolier Club. The codex contains a Venus almanac that, in structure, is related to the Venus almanac contained in the Dresden Codex. The Mixtec interpretation of the iconography may simply be due to knowledge of highland Maya iconography during the Postclassic period. 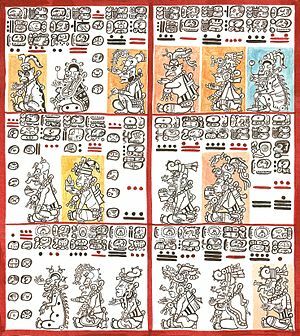 The codex is preserved, the surviving page fragments display a number of figures in central Mexican style, combined with Maya numbering. The document is held by the Museo Nacional de Antropología in Mexico city and is not on public display. The physics institute of the Universidad Nacional Autónoma de México subjected the codex to non-destructive testing in an effort to determine its authenticity, the researchers concluded that they were unable to prove or disprove the pre-Columbian nature of the codex. In 2016 a team of Mayanists including Coe published a review of the evidence, the Grolier Codex is a screenfold book fashioned from bark paper, coated with stucco on both sides and painted on one side. Ten painted pages survive of a book, formerly there were judged to be eleven pages. 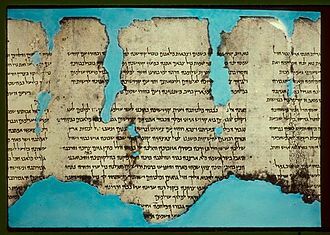 The lower portions of the pages are badly damaged by moisture, the greatest height of any of the surviving page fragments is 18 centimetres and the average page width is 12.5 centimetres. Several of the pages are still attached to other, The lost pages would have been the first eight. Five single sheets of paper were found associated with the codex, they had no stucco coating and were brown. Like other Mesoamerican people, the traditional Mayas recognize in their staple crop, maize, a vital force with which they strongly identify. This is clearly shown by their mythological traditions, according to the 16th-century Popol Vuh, the Hero Twins have maize plants for alter egos and man himself is created from maize. 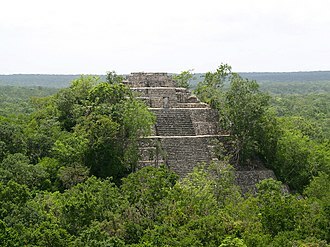 The discovery and opening of the Maize Mountain - the place where the seeds are hidden - is still one of the most popular of Maya tales. In the Classic period, the maize deity shows aspects of a culture hero, in Mayan oral tradition, maize is usually personified as a woman - like rice in Southeast Asia, or wheat in ancient Greece and Rome. The acquisition of this woman through bridal capture constitutes one of the basic Mayan myths, in contrast to this, the pre-Spanish Mayan aristocracy appears to have primarily conceived of maize as male. The classic period distinguished two forms, a foliated maize god and a tonsured one. The foliated god is present in the so-called maize tree, its cobs being shaped like the deitys head, a male maize deity representing the foliated type and labeled God E is present in the three extant Maya books of undisputed authenticity. 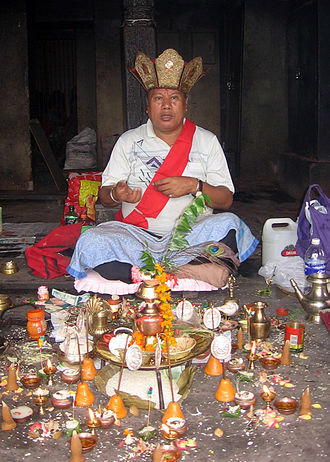 Whereas the foliated maize god is a vegetation spirit, the tonsured maize gods functions are much more diverse. 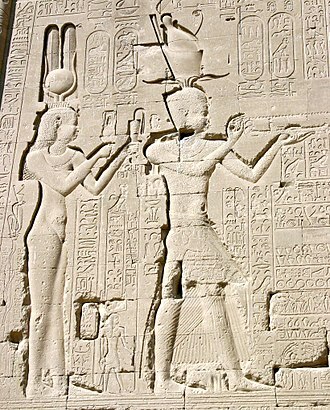 When performing ritually, the latter typically wears a netted jade skirt, on stelae, it is a queen rather than a king that tends to represent the tonsured maize god. The queen thus appears as a goddess, in accordance with the Mayan narrative traditions mentioned above. Many classic Mayan paintings, particularly those on vases, testify to the existence of a rich mythology centered on the tonsured maize god, the late pre-classic murals of San Bartolo demonstrate its great antiquity. The tonsured maize god is often accompanied by the hero twins, following Karl Taube, many scholars believe that the resurrected tonsured maize god of the classic period corresponds to the father of the hero twins in the Popol Vuh called Hun-Hunahpu. However, this generally accepted identification has been contested, the maize gods presence in the San Bartolo arrangement of five world trees has been interpreted as his establishment of the world. Part of the Huexotzinco Codex, written on amate. Lacandon ceremonial bark paper tunic at the Casa Na Bolom museum in San Cristóbal de las Casas. Amate tree growing in northern Guerrero, Mexico. Cancuen, panel 3, seated king with two subordinates. Second half 8th century. Diagrams from Mikhail Lomonosov's "The Appearance of Venus on the Sun, Observed at the St. Petersburg Imperial Academy of Sciences On 26 May 1761"
A panorama of the Mayapan excavations from the top of the Castle of King Kukulcan. The Temple Redondo with a Mayan carving in the foreground. This mural partially survives in the Sala de los Frescos in Mayapán. In it appears a solar disk with the figure of a deity, possibly representing one of the transit of Venus that happened in years 1152 or 1275. The deity depicted on page 9 of the Grolier Codex was unknown at the time the codex was discovered, but similar depictions were later found at two Maya sites in Mexico.